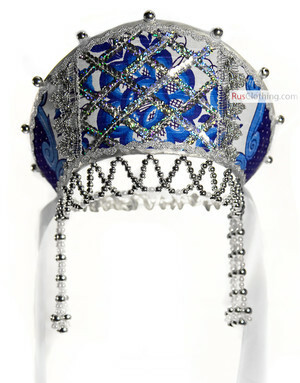 Russian tiaras are known by word kokoshnik. 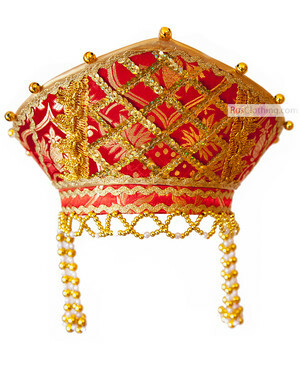 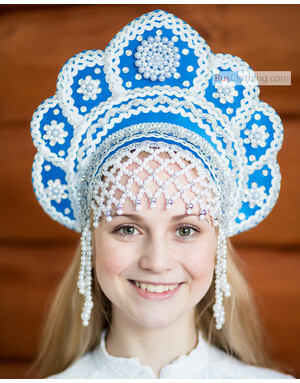 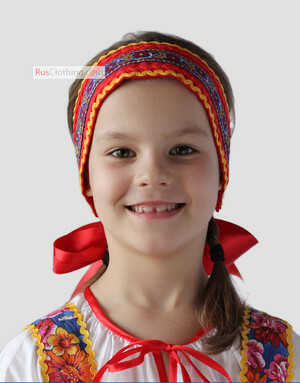 Today the headdress Kokoshnik is a part of Russian traditional costume. 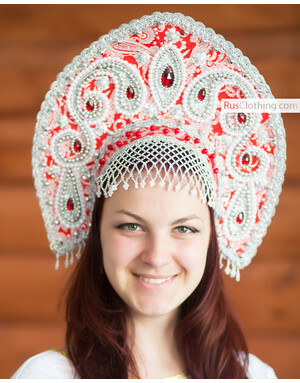 Kokoshniks presented in our shop are handmade and skillfully decorated in Russia. 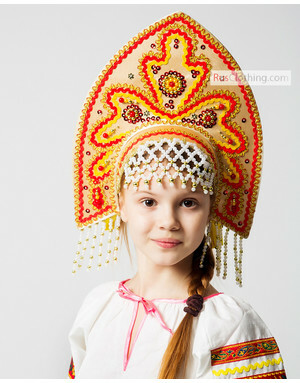 Russian headdresses are usually bought together with traditional dresses or costumes and used for dance performances and theaters. 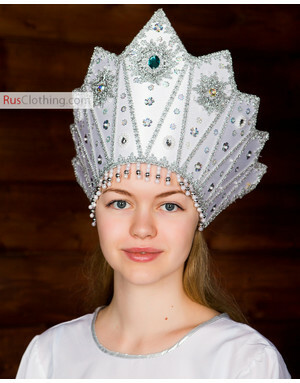 Russian tiaras were a popular head decorative element in Russia in XVIII century. 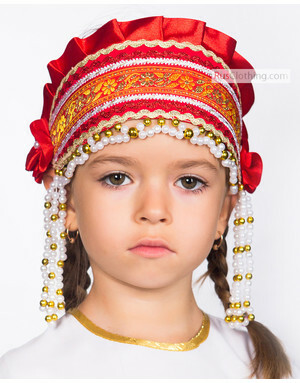 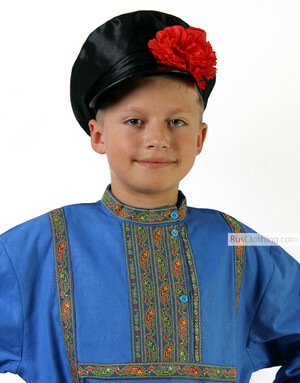 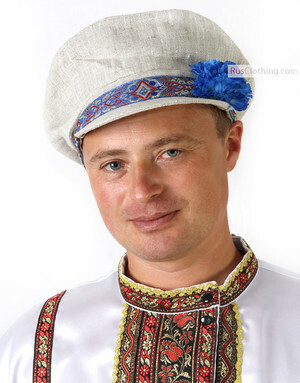 Kokoshniks have a great variety of headwear versions and styles across Russia. 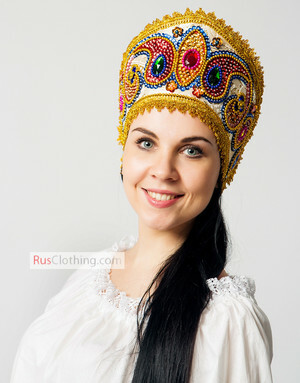 The best known kokoshnik has a high front shaped like a crescent with rounded edges. 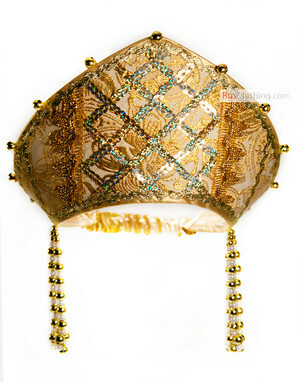 The front of a kokoshnik is decorated with golden thread and pearls embroidery. 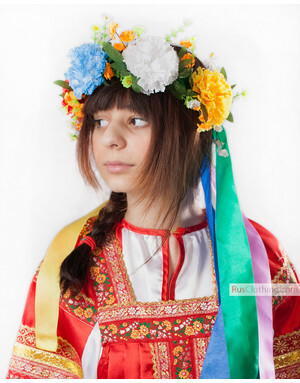 Kokoshniks and kichka, though varied in shape, were a subject to the strictest regulations: no married woman could show here hair in public. 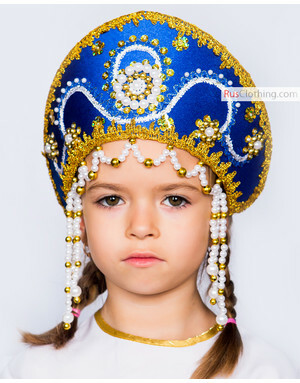 Maidens, on the other hand, were expected to have at least tops of their heads uncovered, and were free to show off the beaity of their hair.